Several have asked me recently where I would recommend buying organic nuts in bulk. 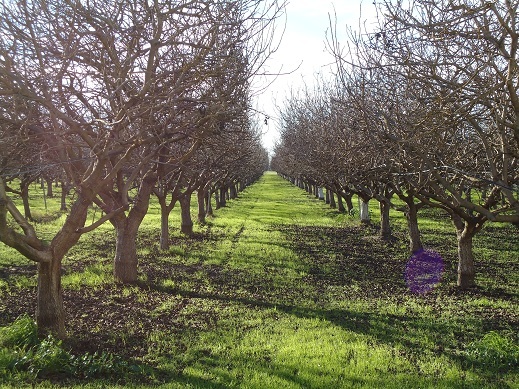 I’ve been excited to answer that question as earlier in the year while our family was in California, we made a special trip to visit Braga Organic Farms, one of California’s few organic nut growers. Our family has done business with Braga Organic Farms in the past and Heavenly Homemakers is an affiliate of theirs. We LOVE their organic nuts!! It was so exciting to tour their farm and learn how their operation works and to actually see the pistachio trees and organic practices! Braga Organic Farms has been organic for over 11 years. Every question we asked, they knew the answer (and we asked a LOT of questions). 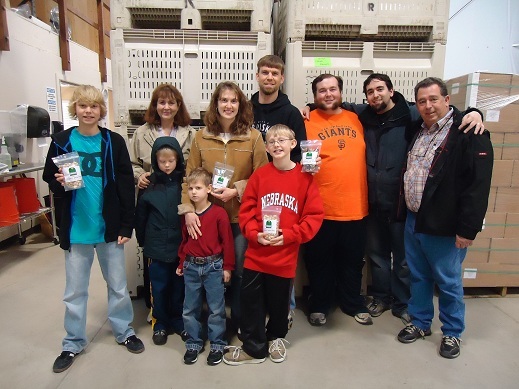 These folks know their organic farming and care a lot about their work! Did I mention that theirs is a family run business? We love that part too! One of the biggest questions we had, and the subject we covered most while we were there was: Why Organic? Is it important to buy organic nuts instead of conventionally grown nuts? What’s the difference? What’s impressive about the above pictures is that California had been experiencing an unusually large amount of rain during that time. The soil is so healthy, you can’t even tell that rainfall was far above average. Yep, healthy soil makes for healthy trees which makes for healthy nuts. In fact, Mr. Braga told us that because their organic nuts are not typically as large as “regular nuts”, they are more nutrient rich because the nutrients are more consensed. Pound for pound, organic nuts are more nutritious. So, we asked, why do organic nuts cost more than conventionally grown nuts? Braga Organic Farms uses a high quality compost instead of cheap fertilizers to enrich their soil. The high quality compost costs a significant amount more than cheap fertilizers. There is more labor involved in their weed control. They mechanically remove weeds instead of using herbicides. Nuts stay fresh and keep from going rancid in the freezer for up to three years! I recommend buying in bulk if possible because while the up-front cost may seem like a lot…when you break down the cost, you’ll find a price comparable to regular ol’ nuts at the store…only these are organic and super high quality! Braga Organic Farms has agreed to give all of us a 10% discount on any purchase now through April 7!! Be sure to take advantage of these great savings! Use the code home to receive the discount. We live on a budget and try to get healthy food as cheap as possible, BUT I’m willing to spend a little extra to support organic and/or farmer-owned businesses because I think it’s importantto support them and keep them in business. I say, you pay now or you pay later. Either pay for healthy food now, or pay for doctor bills later! Wow, the pictures are worth a thousand words. The difference is amazing. we have a small local health food store that has a great bulk section that has great selection of organic local grown beans and nuts!! I’ll have to go check these guys out! We love nuts and eat a lot of them, and it would be awesome to buy in bulk! We live only about 2 hours N. of this farm and will definitely go visit them. Would love to buy more organic items, nuts included. My son has an allergy to peanuts, cashews, etc but I’ll focus on what he can eat. Great pictures!! Oh goody! I love pictures!! Thanks Laura. I’m going over to their website right now. You know, God in His wisdom is so incredibly cool. If you look at what the man at the organic nut farm said about the soil, there is a spiritual correlation! If you look at the parable of the sower in Matthew 13 (as well as in Mark & Luke), Jesus makes the same correlation! When our “soil” is “good”, just look at the growth and possibilities, but if our “soil” lacks, whether it is beaten down like a path, or rocky, or thorny, nothing is able to grow or grow well for very long! Great pics and great analogy. Like I said, God is good and wise! Do you know if they grow or process any peanuts? My son can have tree nuts but is allergic to peanuts and we can only buy from peanut free facilities. They do not process any peanuts there!!! In fact, I don’t even think they sell them! Oh, that just made me VERY happy!!! Off to check out their site! My favorite place to order from is Purcell Mountain Farms (www.purcellmountainfarms.com). They sell organic nuts as well as a huge selection of organic beans, rice, spices, grains, cereal, pasta, spices, dried fruit and lots more. Their service is fantastic and shipping is very quick – they ship from Idaho and I get my order here in Illinois within 2-3 days. Can’t recommend them enough! Yes, you’re right…but the point is that the neighboring “non-organic” farmer has neglected to properly care for the soil. Elevation was the exact same for both of these farms…they are right across the road from each other! I have been scouring the web to find the best source for nuts in bulk. In my reading I think I understand that all nuts from California are pasturized by law. Does anyone know if this is the case? Then the nuts wouldn’t be raw and therefore not as nutritious? Anyone with insight on this would be appreciated! Buy from Azurestandard.com or Nuts.com. These are imported and non pasteurized. 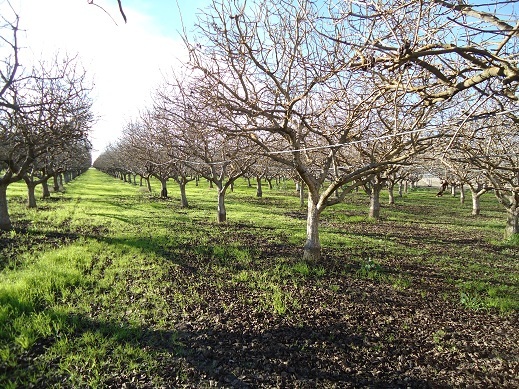 Growers in California that sell privately and not commercially can sell unpasteurized, organic, raw almonds and nuts….example is Bremmer Farms. Hi Laura, thank you for introducing us to Braga. I would like to know if they accept orders the whole year round. I am not familiar with the harvest seasons of organic nuts, and my friends prefer to buy freshly harvested produce. Yes, they do accept orders year around! Great company! What a great company! (and what a great site you have!) 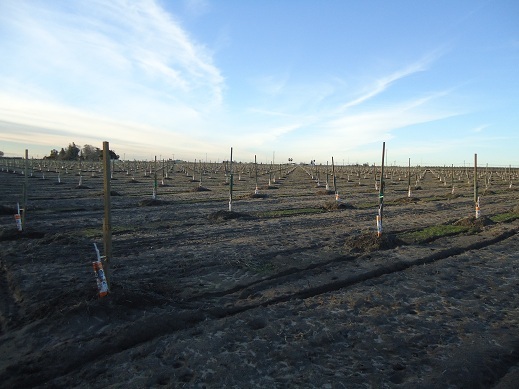 I love the photos of the healthy robust organic trees vs. the sad and stunted conventional trees. I wanted to share my company with you, http://www.shopOrganic.com. We’re an online retailer of organic and natural products and we carry a LOT of bulk and definitely believe that buying in bulk makes so much sense. We’d love to have you as an affiliate if you want to check us out! Great work for God indeed. I would like to find nuts that are raw/unpasteurized. It is disappointing to find out the pasteurization laws with almonds and motivation behind it. I went to their website, but they pasteurize their nuts. Which if I understand correctly they are no longer raw and living, but a dead food. Their website says in person transactions can be unpasteurized. It seems it is legal to sell up to 100lbs of unpasteurized almonds per day per customer from other sellers online. I found a few farms that don’t pasteurize and sell up to 100 lbs online. I would rather purchase through you and a company that you have visited, but am unsure why they would choose to pasteurize if they don’t have to. They may be organic, but if pasteurized, they would loose value. Any information would be helpful. Thanks. My understanding is that they have to pasteurize because they sell so many nuts and different varieties. I’m sure they would welcome your questions and would be happy to answer them if you care to email them about it. They are great people! Thank you so much for this information! I’ve just started researching how to make almond milk for my lactose intolerant preschooler, and almond butter for my toddler with a peanut allergy. I’m excited to have a source of bulk nuts to shop from. Yay!! Good to know about freezing them also. Thanks for all of the help! I am so glad to come across this article. 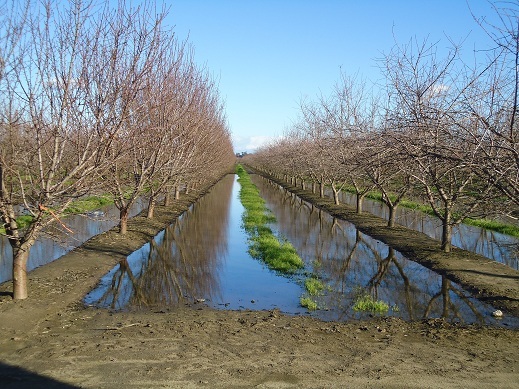 I love almonds but recently learned how much water they required. This helps me find an alternative–I did not realize organic production saved water. Just grand. Thank you! I have bookmarked Braga. So do they pasteurize their nuts or are they truly raw? Just found out that most raw nuts sold in the supermarket aren’t truly “raw” but pasteurized! I would like to order nuts for my family and myself. Very interested after seeing the pics and your write up. I would like to order some nuts. How do they keentheir neighbor’s pesticides from blowing or leaching over to their farm?